A talisman is virtually the same thing as a protection amulet with the exception that it is intended for a specific purpose. 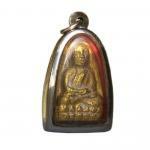 An amulet is a term used to describe a good luck charm in a general nature. In addition, an amulet talisman is endowed with distinctive powers of protection, or the ability to attract good fortune (it cannot bring bad luck) while a talisman can be constructed for evil purposes as well. Only a highly skilled practitioner of the occult would dare to construct a talisman for evil designs though. Personal amulets should be worn or carried in contact with the skin or the particular part of the body they are designed to protect. Designed to protect towns, homes, businesses, etc. Many early civilizations created unique amulets, often very large in size, and placed them upon the walls of their cities. 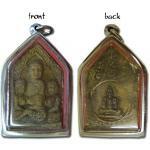 Almost all protection amulet talismans, whether personal or general, are made out of a suitable material in a ritual manner at a time of favorable planetary influence. Amulet talismans also derive their power from some connection with natural forces and religious associations. Even if you are the type of person who ridicules the use of lucky charms and the occult, these amulets do not deserve your scorn. 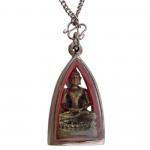 Amulets are beneficent in nature and wearing them can provide you with comfort and protection. If you don't believe it, try it for yourself.